Users of IGL Smart Card can tap the card on terminal for payment. IGL Smart Cards provide convenient options to track your spends. 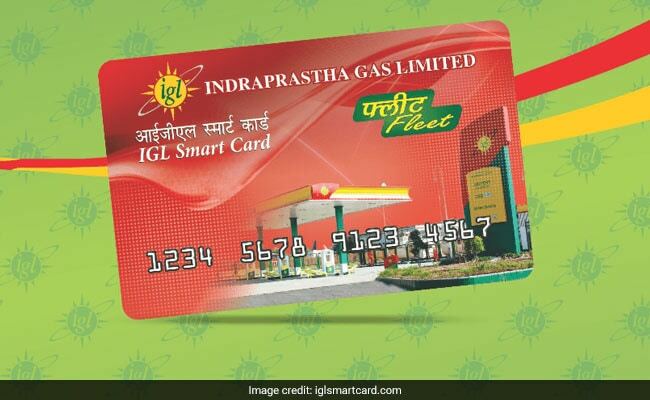 Indraprastha Gas Ltd or IGL will launch a prepaid CNG card for both retail and fleet operators today which will allow its customers to refuel CNG at its stations without carrying cash. Called IGL Smart Cards, it will be launched today by Petroleum Minister Dharmendra Pradhan along with Dr Harsh Vardhan, Minister of Science and Technology, Earth Sciences and Environment. IGL is a Delhi-based city gas distribution company. The company supplies compressed natural gas (CNG) to the transport sector and piped natural gas (PNG) to households, industrial and commercial sector in Delhi and the National capital Region (NCR). -Cash-less transactions: Users of this card can tap the card on terminal for payment. The pump attendant will enter the amount and then you have to authenticate the transaction with your PIN after which you will get the chargeslip printed with balance email and SMS sent to your registered email/mobile number. - Monitor all the transactions being done anytime with the online MIS. - Access card balances information online. -The card can be recharged through various online modes including RTGS/NEFT/IMPS. -Retail Outlet Locator to locate IGL CNG Stations. - PIN based security is employed with separate PIN for each of the user cards and Control PIN to control card transactions.